I will be honest in saying that I had not planned to do a post today. I wanted to give myself one night off from blogging. But I was on Pinterest on my iPhone and I ran across a gorgeous kitchen. The photo source was Segreto Finishes. I immediately pinned the photo, turned on my computer and went to their website. 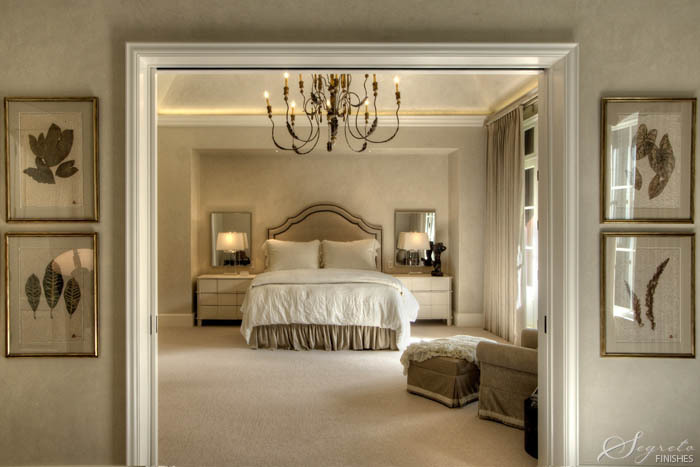 Segreto is a company based in Houston, TX that specializes in custom finishes for walls, ceilings, and cabinetry. I must say that I was mesmerized by the images on their site. The finishes are so warm and compliment the overall design of the spaces perfectly. Their portfolio is fabulous, so I highly encourage you to check their website and blog! In other news, the lovely Michelle of Ten June is featuring her e-design of my bedroom! I absolutely love it! Be sure to check it out! I would have been drawn in by that fantastic table too!! That cooper hood goes so well with the kitchen finishes! Wow, those are stunning spaces! I can't get over how much I love the copper hood. I love Segretos Finishes! they are in my neck of the woods. They have some serious swoon worthy photos! The kitchen and dining room are breathtaking! 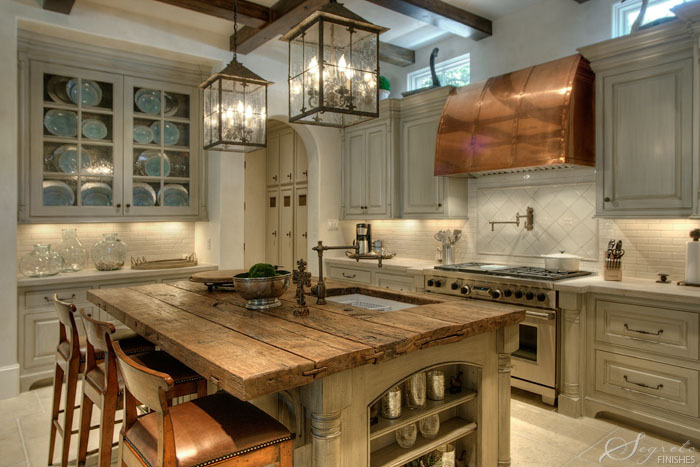 That kitchen is stunning!! I can see why you fell in love! Oh, my goodness... I need to pin all of these images! Stunning! 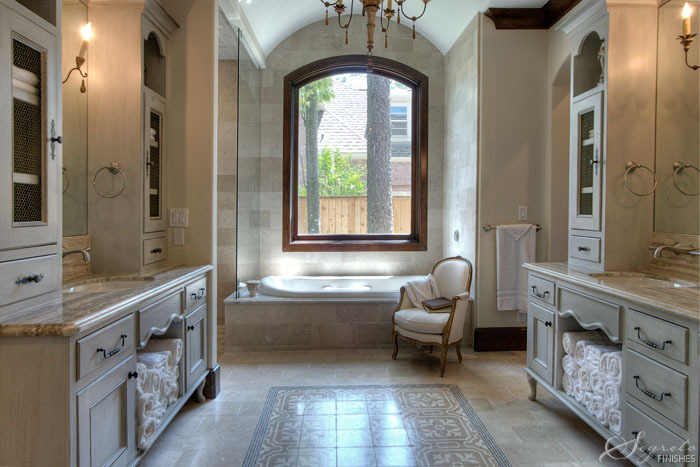 The kitchen and master bath leave me speechless. So sophisticated. I'm completely in love with that dining room and bedroom! LOVE!